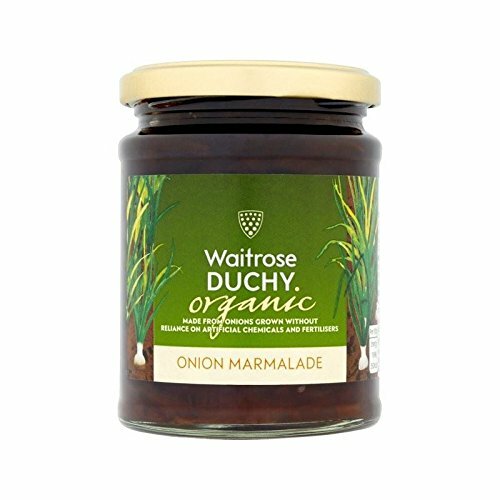 Duchy Originals from Waitrose Onion Marmalade. Made with onions, gently caramelised in open pans for a rich, sweet taste. Duchy Originals from Waitrose. At Waitrose & Duchy, we share a belief in the value of British organic food, grown & produced sustainably. It's a pleasure we can all enjoy. If you have any questions about this product by Duchy from Waitrose, contact us by completing and submitting the form below. If you are looking for a specif part number, please include it with your message. Portion Pac Welchs Orange Marmalade, 0.5 Ounce - 200 per case.